Haha, this picture is so cute. 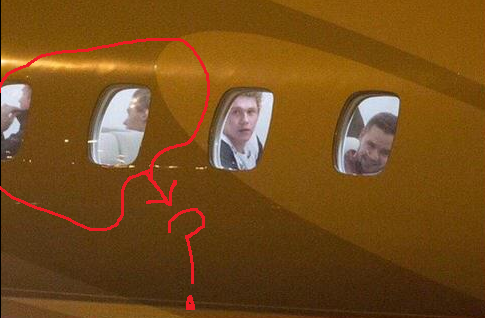 Update accounts are like "Niall and Liam on a plane! ", but am I honestly the only one who sees Harry there as well? And couldn't that be Louis sitting next to him, visible in the window of the left? Kind of irrelevant, but cute, because, ya know, they're sitting next to each other judging from the picture. Update accounts are saying that Zayn and Louis are on Hamilton Island though, so it might not be Louis in the picture. I don't know. I DO know however, that there's a cyclone headed for Australia and that L and Z might be unable to fly if they are actually on Hamilton Island... And that would be awkward, since they really can't do a show with two missing members. Please appreciate my amazing art skills btw.